Enjoy a FREE lunch on us! Let us treat you to a delicious lunch featuring our fresh and healthy options! Have a sample of what your on-site healthy oasis could be like!! 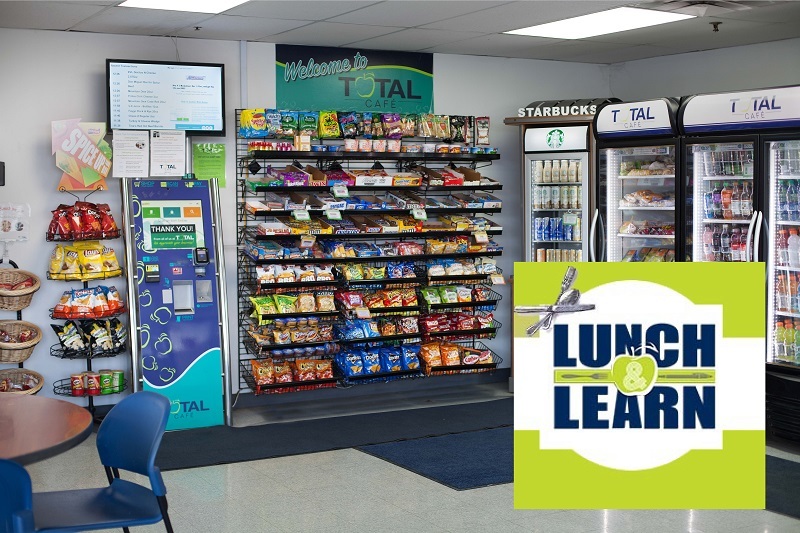 To learn more about Total Cafe, please call us at 734-427-3510 today to set-up your FREE lunch consultation! A full service vending company located in Plymouth, Michigan. Providing service to Detroit and the surrounding cities of Allen Park, Ann Arbor, Belleville, Canton, Farmington Hills, Livonia, Novi, Southfield, Troy, Westland, Wixom, Ypsilanti, and all of Southeastern Michigan.